A lovely solid silver Skull and Cross bones dog tag pendant. 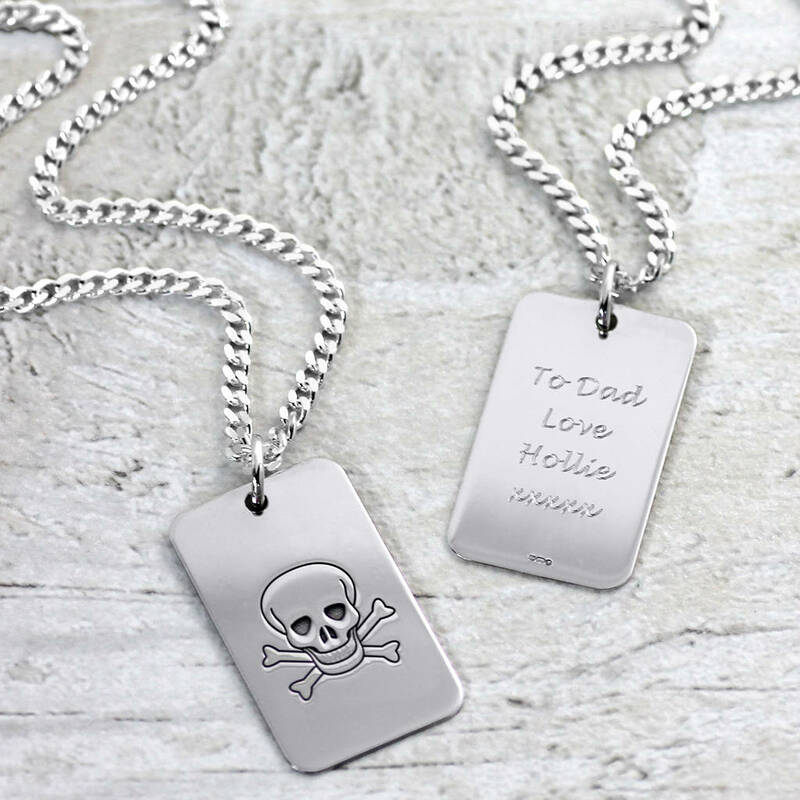 Suitable for boys and girls of all ages, this silver skull and crossbones dog tag is hand made in our workshops, and comes on a high quality silver curb chain or a leather necklet. 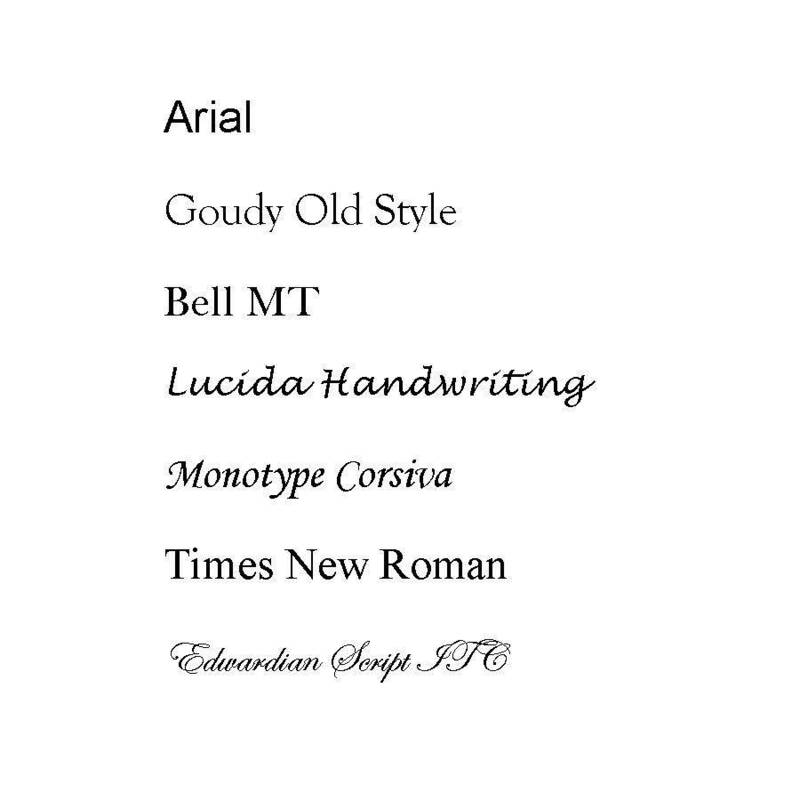 It is polished to a high shine, and can be engraved with a message, dates and names etc on the reverse. 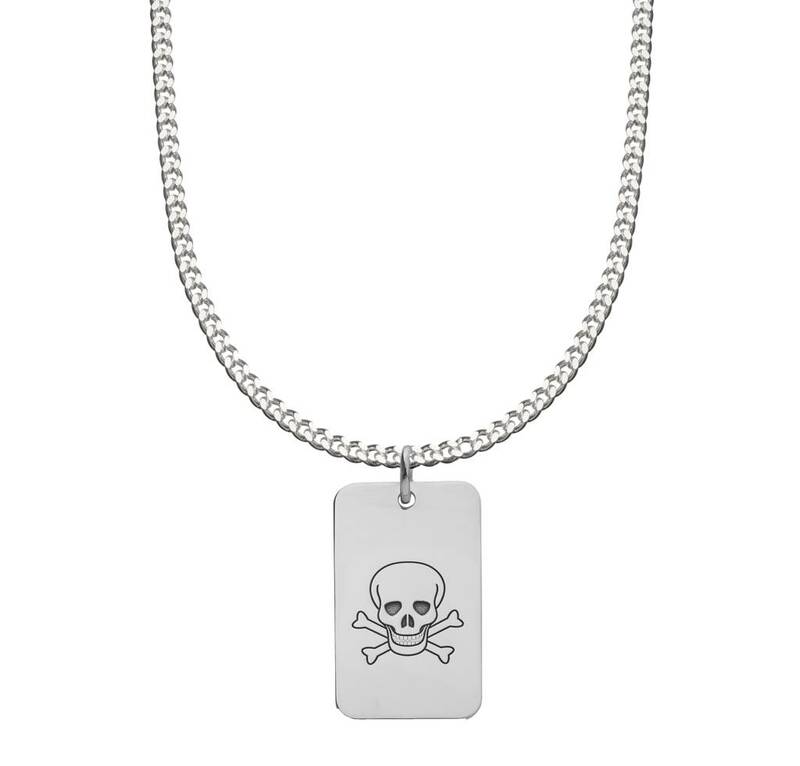 Leather necklet or silver curb chain, choose in either a 16", 18", 20" or 24" length. 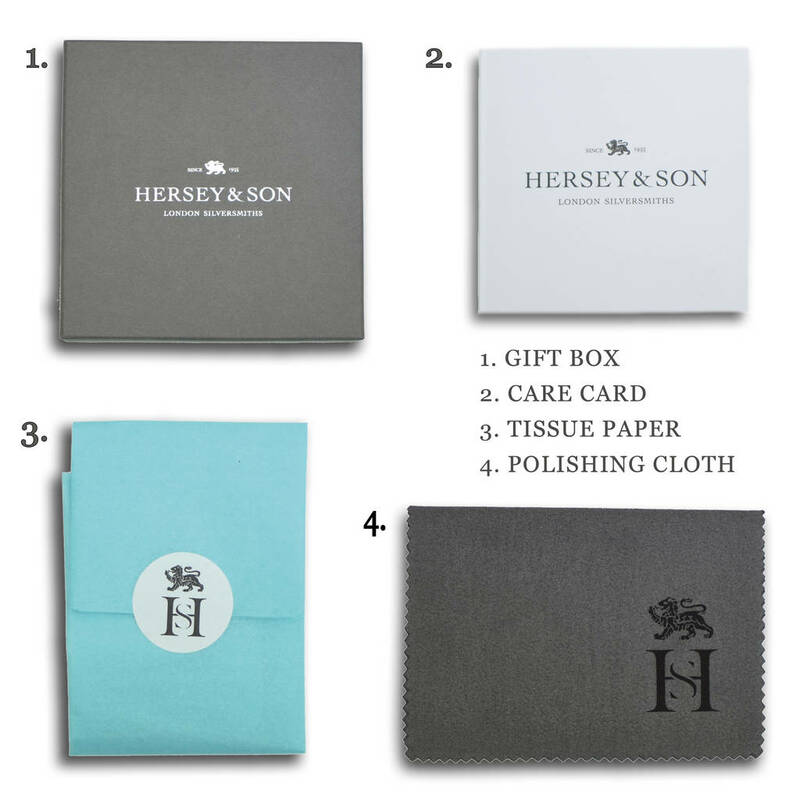 We send it to you in our signature gift box. Sterling silver, hallmarked at London Assay Office.